The Wallraf-Richartz-Museum not only has a wonderful collection of paintings by a large number of Flemish artists, but also magnificent drawings – and often the two are closely linked. Anyone who wishes to know how, for instance, the glorious Rubens canvas Juno and Argus came about should examine the drawings by the master, for they reveal a great deal about the creative process. 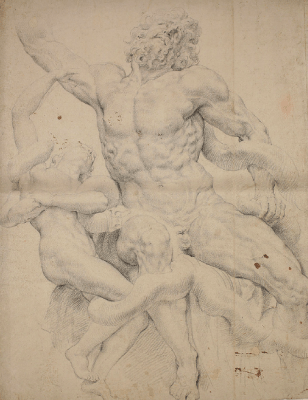 In order to become more acquainted not only with Rubens, but also other Flemish masters of the 17th and 18th centuries, the Wallraf will present a large selection of drawings by Caspar de Crayer, Gerard Seghers and David Teniers. The exhibition will cover all manner of drawn works: from sketches committed spontaneously to paper, or copies done with great care and attention, and meticulous studies for portraits or of fine details, to finished designs for compositions. The great highlight will be two chalk drawings by Peter Paul Rubens that were discovered in 2007.